organized by CASSA´s thematic group Mayan Agroecology. Crecer Juntos Sitalá’s “NGO fair” at the Sitalá town celebration. Tzimol, Chiapas in August 2016. Local Knowledge held in San Cristóbal de las Casas. CAN and its network partner El Colegio de la Frontera Sur (ECOSUR) launched a two-year project, CASSA, to create a learning community for the construction of food security and sovereignty in Southern México. CASSA (Comunidad de Aprendizaje para la Seguridad y Soberanía Alimentaria/Learning community for the construction of food security and sovereignty) is funded by the W.K. Kellogg Foundation. 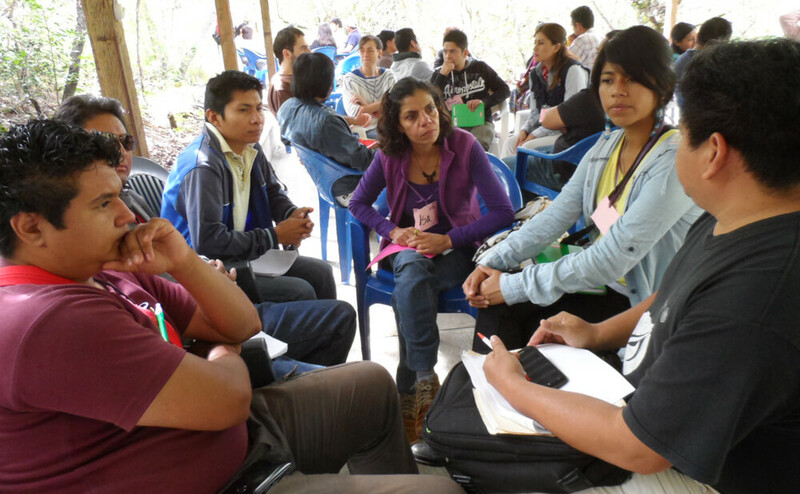 The Project aims to form a learning community among 23 local civil society organizations (CSOs) that work to promote food security and sovereignty (FSS) in Chiapas and the Yucatán Peninsula in México and facilitate exchange of knowledge and working tools with the ultimate goal of promoting organizational processes that are participatory, just, and collaborative in the search for food sovereignty. The main output, aside from the community itself, will be a tool kit for like-minded organizations. The 40 participants from the 23 CASSA CSOs come from the south-eastern states Chiapas, Yucatán, Campeche, and Quintana Roo. 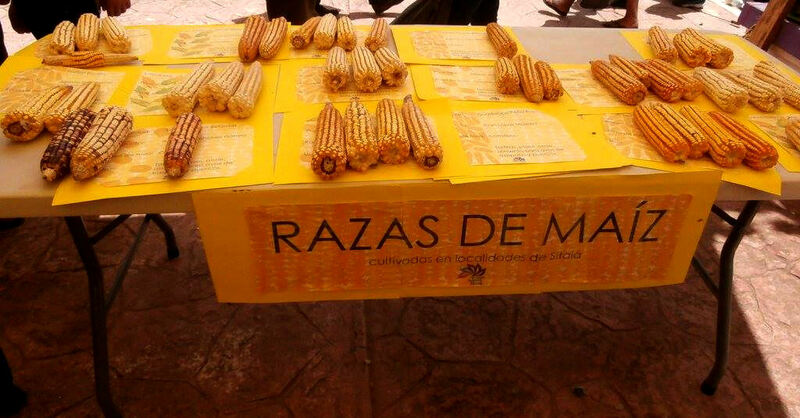 They include an indigenous farmers’ organization that produces 450 tons of chili per annum; maize activists who run annual seed exchange fairs; young people running a healthy lunch restaurant; the Chiapas school gardens network; an NGO supporting a cocoa cooperative and women’s milpas (traditional intercropped fields); a farmers’ market; two universities; various NGOs running rural development projects (two of them with a countrywide scope), and one initiative working steadily for 25 years in the most marginalized community they could find when they started. Many started with a focus on food security such as vegetable gardens and are incorporating agroecology and, in some cases, getting inspired by the more far-reaching message of food sovereignty. 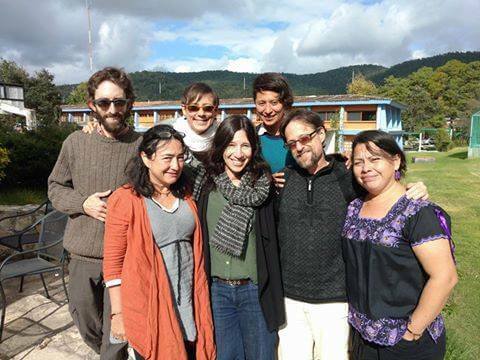 The CASSA team: (from the left) Mateo Mier y Terán, Helda Morales, Linda Lönnqvist, Rose Cohen, Yolotzin Bravo, Bruce Ferguson and Nora Tzec. The research institute ECOSUR, is located in San Cristóbal de las Casas, Chiapas. 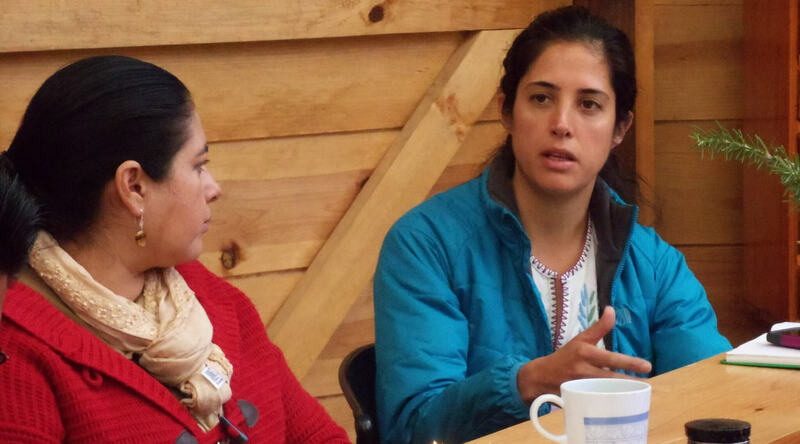 ECOSUR provides expertise in agroecology and participatory research through the involvement of members of its Scaling-Up Agroecology research team (Drs. Helda Morales, Bruce Ferguson and Mateo Mier y Terán Giménez Cacho), hosts the local project team, channels funds for spending in Mexico through its rigorous financial management systems, provides project participants with a certificate of further education on completion of the project, and provides the potential for amplifying the best practices identified in the project through its research networks. CASSA project staff are based in San Cristóbal, Chiapas and Hopelchen, Campeche in Mexico, and Santa Cruz, California in the United States. Participant ownership: by involving the participant CSOs as much as possible and giving them control and responsibility over their learning, we hope to ensure that the content of the project is relevant for them and to strengthen their commitment to the learning community. Community: we strive to create and strengthen relationships among participants at the personal and organizational levels, creating trust and a basis for collaborations in the long term. Practicing what you preach: to the extent possible, project events take place in “real world” agroecology centers. Relevance: the learning and tool kit have to be useful and context-specific for CSOs working on FSS with communities in the region. Year 1: project facilitators and participants share, explore, and develop an understanding of the best values, approaches, and methodologies for working with communities in food sovereignty-related projects. Combining discussions, teaching, visits, pilot testing, and mutual learning in groups, we develop and promote a toolbox (called “Morral de herramientas” after the sisal-fibre net bag typically used in the region) based on the experiences of the participating CSOs, CAN’s, and ECOSUR’s agroecology knowledge, and the regional context of southern Mexico. Year 2: writing up, publishing, and disseminating the toolkit. The project is structured around four “encounters,” or workshops, that bring together the whole learning community and participant-selected thematic groups for focused learning. Concurrently, there is monitoring and evaluation, academic research, and the option to arrange extra learning visits. A large part of the content of the toolkit emerges from these activities. Traditional knowledge: Using video as a tool to transmit traditional knowledge. Strengthening social community organizations in the long term: Collating and piloting best practices step by step. Participatory, inclusive methods: Training field staff and students on participatory approaches for food sovereignty. Mayan Agroecology: Constructing family-level agroecology processes. Income generation: Adapting the “CANVAS” tool for processing and marketing produce. Alliances: Trust and place-based coordination in FSS alliances. The thematic groups’ learning and experiences will form chapters of the toolkit. Between the first and second encounters thematic groups met to develop their chosen process for piloting and analysis. These meetings are called “mini-encounters” and include both planning meetings and implementation of pilot activities. At the second encounter we met for three days to work on turning visions into plans. The planning work at the Encounter was livened up with activities to strengthen the “community” side of the learning community. The participants finalized their plans for piloting in thematic groups, explored “best failures,” and held a mini-farmers’ market. We had an advice exchange; a safe space for analyzing and learning from our past mistakes; work in the gardens and worm compost of the agroecology center Tsomanotik; indigenous Maya rituals – plus sessions on the monitoring and evaluation framework and research. All of this contributes to unearthing and learning about “best processes” in FSS. Between August 2016 and March 2017 the participant organizations are piloting their chosen process – that is, implementing it in their work and recording the results both for monitoring, for their own learning, and for the toolkit. At the same time, the project team accompanies and facilitates the groups and conducts additional interviews to gather material for the toolkit. The third encounter is scheduled to take place in April 2017. During this encounter, participants will evaluate their piloting, opening the discussion to issues beyond the thematic groups’ experiences, and contributing content to the toolkit. We expect to publish the toolkit towards the end of 2017. After it’s published, we plan to hold a dissemination event involving both participants and other interested parties, focusing on how local CSOs can make use of it in order to improve their work with FSS. 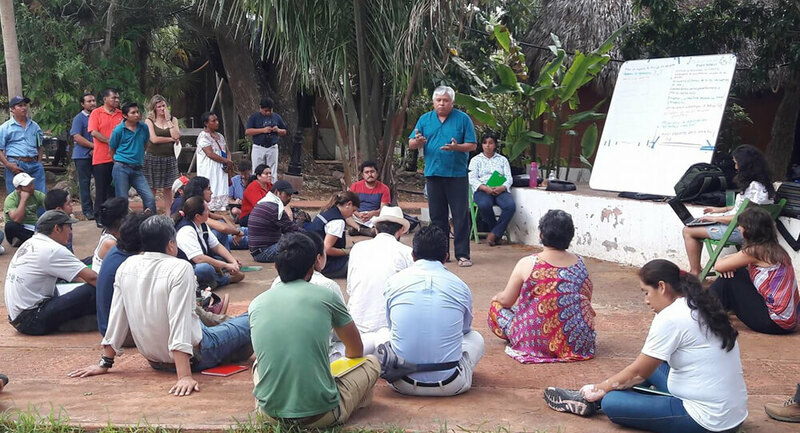 The six themes below were selected in the first Encuentro in May 2016, based on the participant organizations’ membership survey; “what I want to learn” mapping; and “Walking and Talking” exercise. The participants were free to choose which thematic group (TG) they would join. Three identified themes were left without uptake and were never piloted (but will be included as chapters in the final toolkit): women and youth, policy advocacy, and M&E. Some organizations sent their two representatives to different groups but the majority focused on one group. Each TG developed a process to pilot based on the following criteria: 1) FSS focus, 2) useful for the participant organization and other CSOs working on SSA in the region, 3) to do with a CSO’s work with communities, 4) neither too easy (e.g. a one-off activity) nor an overly complex change process (e.g. values-level work), 5) that they could implement (pilot) in their organizations, each one in a manner appropriate for them, 6) in the time available (August 2016-March 2017). Some TGs pilot one joint activity together, such as the family agroecology meetings of TG Mayan Agroecology where each organization invites two families to the joint events. In others, each participant organization implements the common process in a way appropriate for them, such as GT Local Knowledge where each organization is making a different participatory video. The results from the pilots will be discussed and analyzed among all CASSA members in the third Encuentro, to be held in late April 2017. Alliances: Strengthening trust and location-based cooperation in SSA alliances. 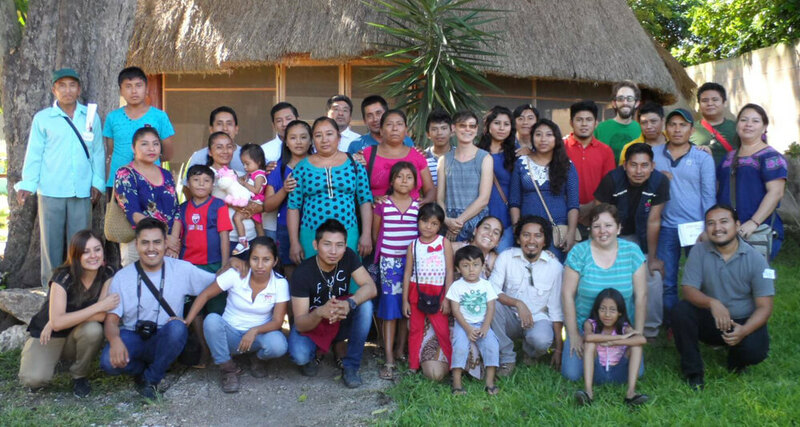 Mayan Agroecology: Family-based agroecology processes. Local Knowledge: Participatory video for transmitting traditional knowledge on SSA. Income Generation: Mapping processing and commercialization experiences. 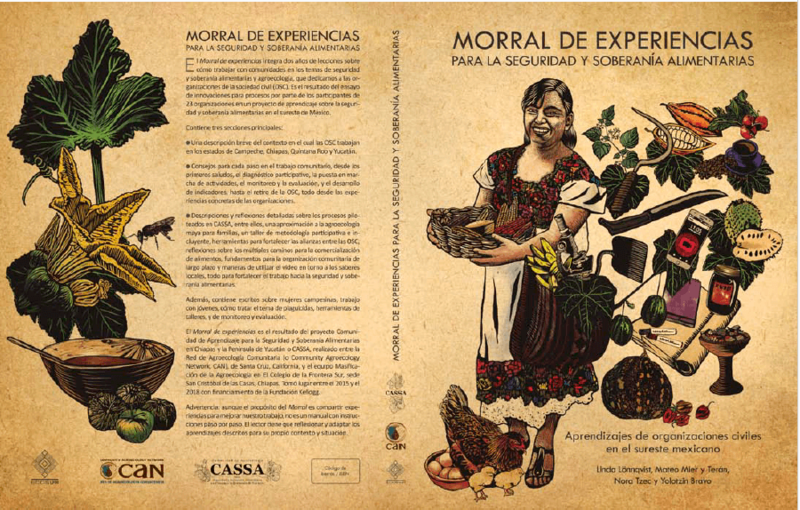 The book “El Morral de Experiencias” (or the “Experience Satchel” – an adaptation to local circumstances of the word “toolkit”) is the result of the two-year learning project “CASSA,” which involved 23 Southeastern Mexican civil society organizations (CSOs). These organizations developed new processes, described in this book, that improve their community-level work in food sovereignty, food security, or agroeocology. The context: food sovereignty and CSOs in Chiapas and the Yucatán Peninsula. A discussion on history, geography, and CSO approaches. Step by step: This section features good examples in community-level work, from making contact to leaving a community gracefully. It contains sections on project preparation; participatory planning and project design; implementation; monitoring and evaluation including tools for a workshop to develop indicators; ensuring the initiative has a strong local base for sustainability; and taking farewell. Experiences from CASSA. Here, individual CSOs recount their experiences piloting CASSA processes. 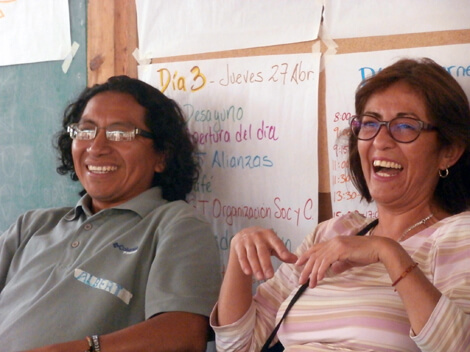 The general topics are Mayan agroecology, alliances, income generation, participatory methods, long-term community organization, and traditional knowledge. These processes and tools include, among others, a family-oriented approach to agroecology, a workshop to gauge your organization’s readiness to enter into an alliance, using the CANVAS tool for entrepreneurship projects, a training course on participation, reflections on how best to support community-based projects, and using video to support and transmit traditional knowledge. Appendix 1, Other viewpoints – This includes sections on supporting women farmers; how pro-agroecology CSOs deal with the use of pesticides; education for agroecology; working with young people; and relocalizing control of the food system, as well as information sheets on the 23 participant organizations. You can also download many of the CASSA tools and a reflection piece on how we ran the learning community.